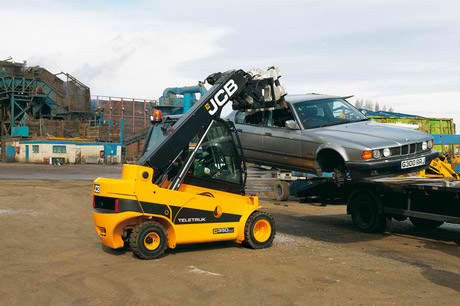 In 1997, JCB reinvented the forklift. 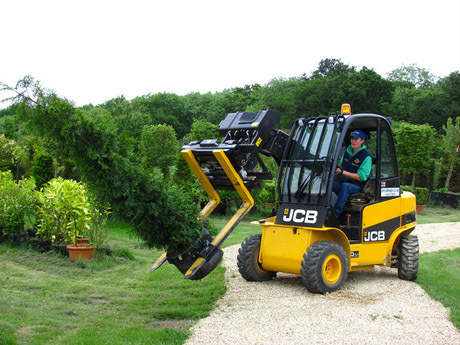 The result is the JCB Teletruk, a forklift truck with a telescopic boom instead of a vertical mast. 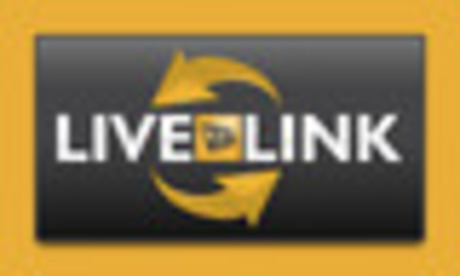 The unique design reduces overheads, saves time and space, and improves site safety. All of which can translate into huge financial savings. Specifically, the Teletruk forklift provides unrestricted forward visibility (there’s no vertical mast), speeds up attachment changes, has increased fork carriage rotation and allows single-side lorry loading/unloading (due to it’s superior reach). 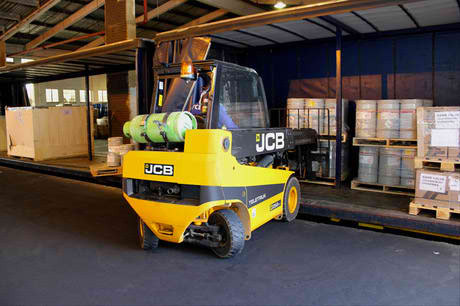 A JCB Teletruk typically comes with alternative fuel options too – LPG or diesel choices are available on the TLT25 and TLT30 – as well as heavy lift option. 4X4 spec is also available on the TLT30 and TLT35. In short, the Teletruk does everything a conventional forklift does, only better. Click on the images below to see more information or visit the JCB Teletruk microsite for more information. 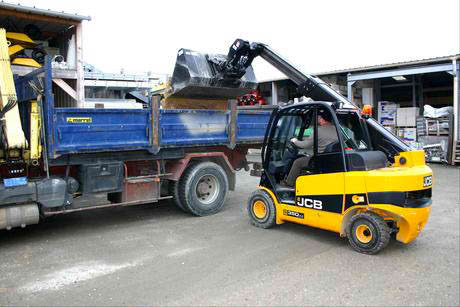 JCB’s TLT30 counterbalance forklift with telescopic boom is a proven cost saver. 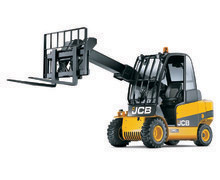 Available as a 4×4, diesel, LPG or highlift model, versatility comes standard.